The Public Test will be running from 19 July at 18:30 CEST until 25 July at 15:00 CEST. Keep in mind that this is a testing environment and unannounced maintenance and patch deployments can happen at any time during the Public Test phase. What to expect in Public Test 0.5.9? Since the earliest versions of the game, Cooperative Battles has existed as a lighter version of Random Battles. Despite the casual manner of these PvE battles (or perhaps because of it), a lot of you have enjoyed playing against bots, cooperating with other players rather than competing with them. In Update 0.5.9, a new mode, called Assault was added, to the Cooperative Battles rotation, where you stand against superior enemy forces. Unlike regular Co-op battles, this mode has a few twists. 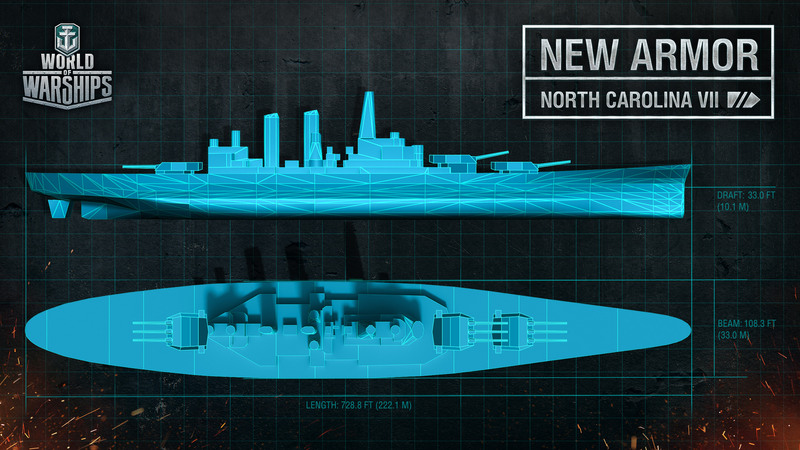 Available when playing with Tier IV-VIII ships. The future development of Cooperative Battles considerably depends on the feedback that we will receive from you. To help you overcome great challenges, both in PvP and PvE, we have added built-in voice chat for easier communication when in a Division. To enable voice chat, switch it on in the Sound options menu. There you can also adjust the volume, microphone sensitivity, and the activation method (always on or push to talk). The visibility system, spotting ranges, and how exactly smoke screens conceal your movement were difficult for players to to fully understand. For this reason, we have made a couple of major changes to the visibility system, with the overall objective of making it clearer and more logical for players. We have added an option to enable the display of smokescreen edges on the surface of the water. This should help players see the real edge of the smokescreen and better plan their actions during the heat of battle. 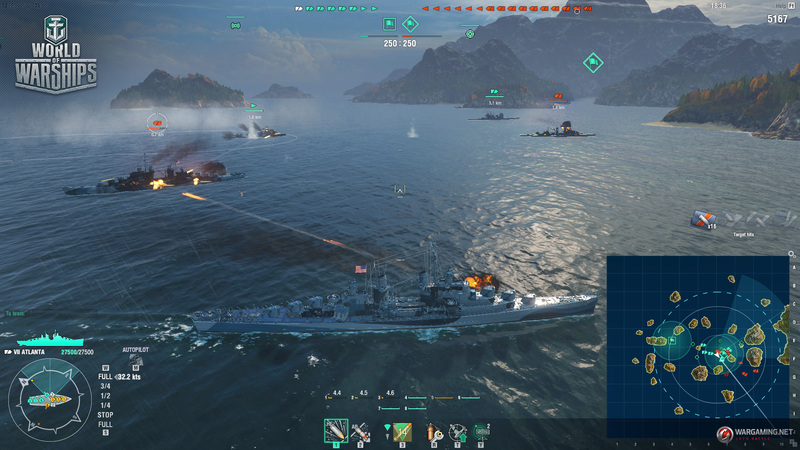 A popular skill, Situation Awareness, which displays a notification about the detection of enemy ships, is being given to everyone by default and removed from the commander-skills tree. Aircraft visibility rules are now similar to those for ships. 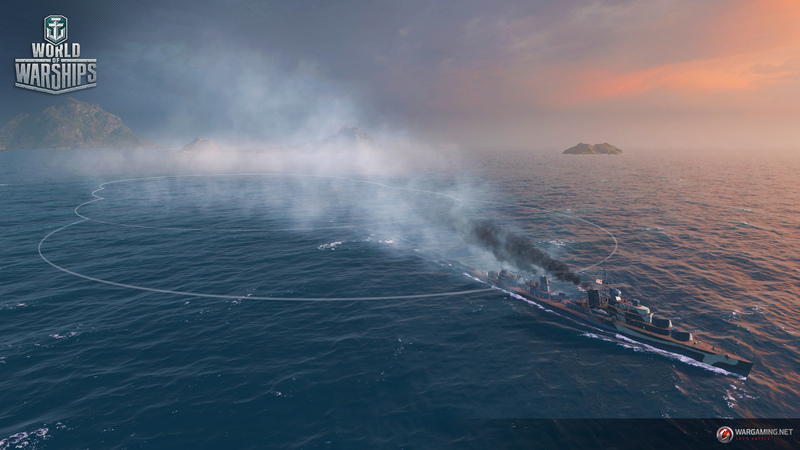 Now aircraft outside of the visibility range of a ship won’t be seen, but will still be displayed on the minimap. 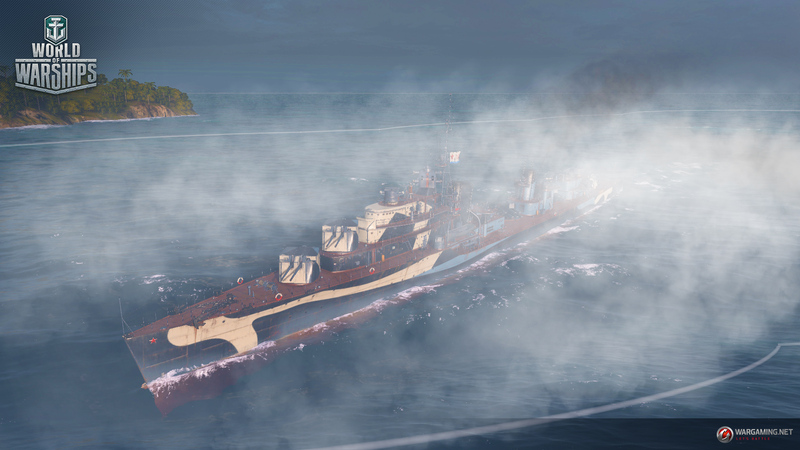 Players will now be able to see shells and torpedoes spotted both personally and by allies. As you may have noticeed, the in-game visibility mechanics have significantly evolved and your continued feedback on these changes is highly appreciated. As part of improving the game, we are continually revising all the armour models within World of Warships. Our goal is to bring the models created at different stages of development up to the same standard of detail. 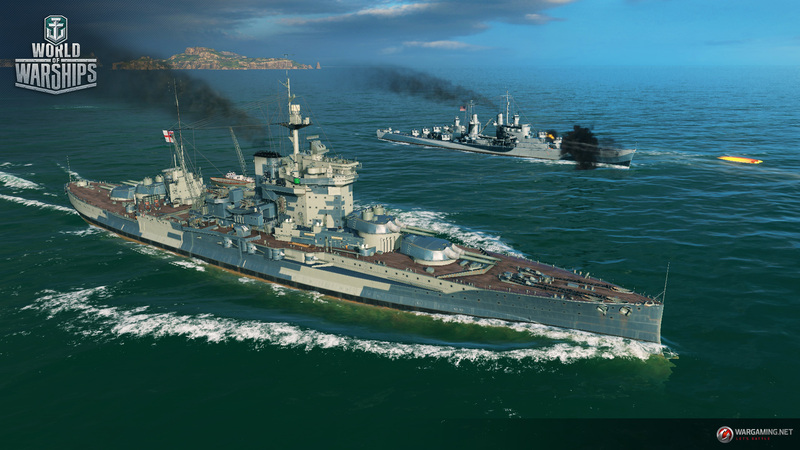 As part of Update 0.5.9, the in-game models of both the US Battleships and the British Premium warship HMS Warspite were refined. In some cases, this led to a redistribution of the inner part of the ship’s durability points (within a 5% limit). We have improved the detailing of the bevels and lines of the model, creating additional conditions for AP shells to ricochet in some situations, especially when they hit the bow or stern of the ship. Armour interaction with HE fragmentation shells and bombs was not affected. The account-level system has been improved: we added videos to the progression to demonstrate the new possibilities available with each level. The layout of the progression window was also changed. For participating in our Public Test, you will be rewarded the following goodies on the live server once the update hits the open waters. Rewards will be delivered via a bonus code sent to your registered Test Account email address on the day of the release of the update or slightly after. Please note that only players with a Public Test account registered to the same e-mail as their live server account will receive the code. Only one code per account is applicable. What resources will you get on the Public Test server? 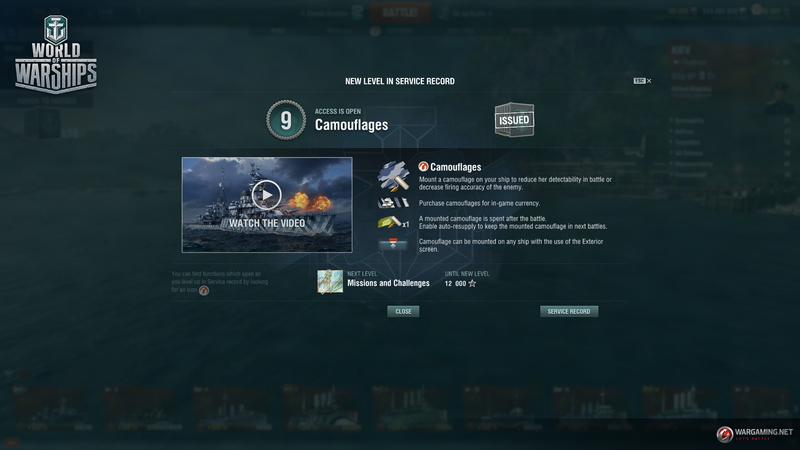 15-skill-point commanders sent to all players at the start of the test. 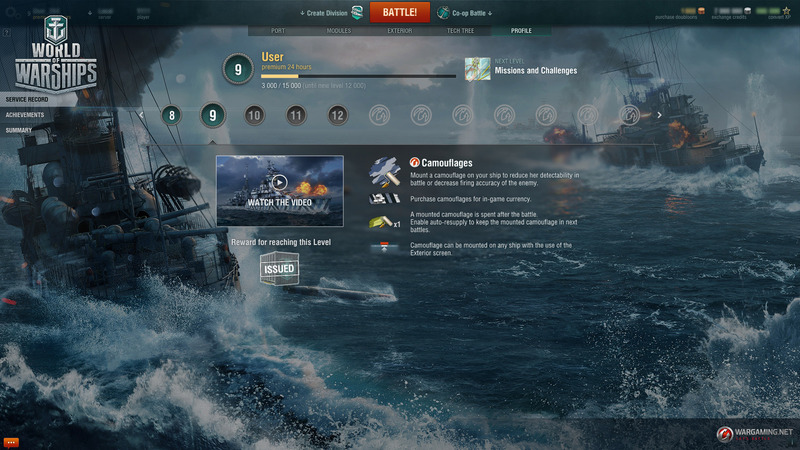 Tier IV ships will be sent to all players at the start of the test. 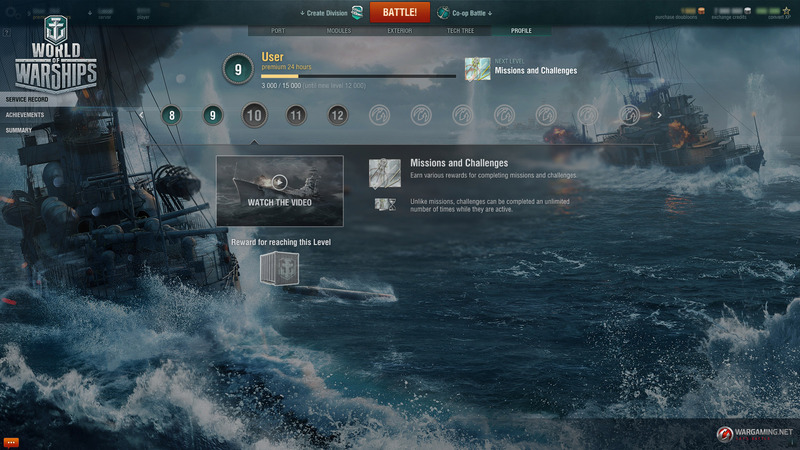 Research prices of Tier V+ ships are significantly lowered, so that players can easily reach the top Tiers in just a few battles. Research prices for modules will be discounted. Account Level 10 upon the first login. Fast progression to level 11 and 12 is enabled. Premium Account for 7 days upon your first login. 30,000 Doubloons, so as to be able to easily redistribute commander skills and use Premium Consumables. 500,000,000 Credits, so you can get anything in the game. Assorted signal flags for testing.